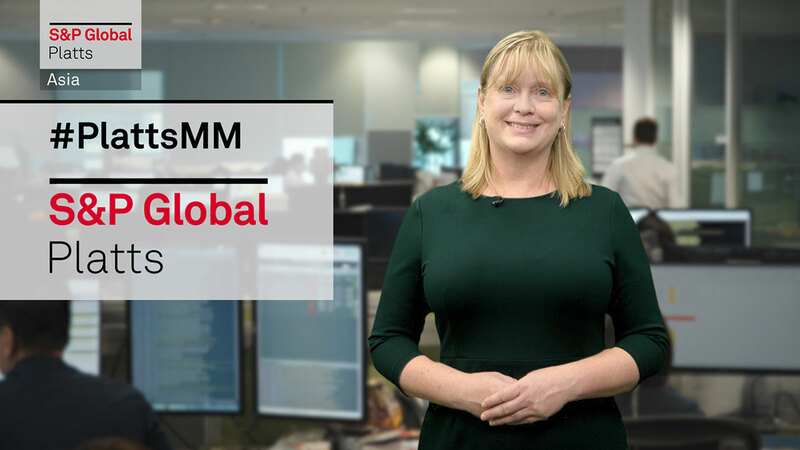 This week in Asian commodity markets, eyes are on China's implementation of value added tax cuts, South Korea's tax reduction on LNG used for power generation, and Japan's returns to the thermal coal spot market. Trade talks between the US and China also remain in the spotlight. This week: China cuts value added tax rates, South Korea reduces taxes on LNG used for power generation, and Japan returns to thermal coal spot market. But first, trade talks between the US and China remain in the spotlight. Negotiators resumed talks in Beijing on Friday and another round of meetings is expected this week in Washington. Watch out for hints from the meeting as to if, and when, a trade deal will be agreed that leads to the resumption of normal trade flows between the two countries. Still on China, China is dropping value-added tax rates, in a move that is generally seen as positive for commodity markets. In stimulus policies announced in early March, Beijing said it will cut the VAT in the manufacturing sector by 16 to 13 per cent, and in transport and construction by 10 to 9 per cent. The market is generally optimistic about the move, which is aimed at spurring business activity and lowering input costs. Some participants expect China's lower VAT to pressure aluminum premiums in Asia lower, as it may drive an increase in Chinese exports of aluminum and aluminum products. So for our social media question this week: Do you expect China's lower VAT to have a significant impact on your market? Share your thoughts on Twitter with the hashtag PlattsMM. Still on taxes, South Korea is cutting taxes on LNG used for power production by 75 per cent, and raising those on thermal coal by 28 per cent. Experts say this move will likely boost the country's LNG demand. South Korea, the world's third largest LNG importer, bought 42.7 million metric tons of LNG in 2018. Meanwhile, traders are closely monitoring South Korea's domestic demand for LPG this week after the country's National Assembly lifted restrictions on LPG-fueled vehicle sales. The use of LPG-fueled vehicles in South Korea has long been limited to commercial uses like taxis, buses and rental cars, but from March 26, any driver can purchase an LPG-fueled car. The move is part of initiatives to reduce the number of aging diesel-fueled cars on the road, which contribute to air pollution. The country's LPG demand is expected to rise almost 8 per cent on year to 118 million barrels in 2019 as a result. Back to LNG, market players say spot prices in North Asia are seen poised to rebound this week after falling for several weeks. Some traders are considering having their cargoes float in storage as they see the market in contango, when forward cargo prices are higher than prompt, given the current surplus of supply. Indonesia's Bontang LNG terminal is facing tank-top issues, and the country's Tangguh terminal is also reporting high inventories. And finally, in thermal coal, Japanese buyers are expected to return to the spot market after a long absence to pick up cargoes of Australian coal. Buyers had been waiting for annual term negotiations to settle for Japan's new fiscal year that begins Monday - which were settled at $94.75/mt FOB Newcastle a few days ago. The spot price of the type of Australian thermal coal preferred by Japanese buyers is currently around $83/mt, down sharply from $125/mt in the middle of last year.